While you might be able to get by without some major home appliances for a few days, or even a couple of weeks, it’s the not the case when it comes to the washing machine. Whether you’re moving into your own place for the first time, or you old washer is on the blink, you’ll be looking to get a washing machine on board A.S.A.P. The good news is there are plenty of bargains to score this end of financial year sales time as retailers begin to sell-off their current stock to make space for the new. Read on for a list of sales you might find this EOFY. Who has the biggest discounts? Australians spend an average about $800 on their new front load washing machines and around $650 on their top load washing machines. There are a number of brands that score highly in our ratings that have some pretty hefty discounts available, including Miele, Electrolux, Fisher & Paykel, LG and Simpson. Let’s dive into the detail and see what these brands are offering this EOFY sales time, whether your budget is similar to the figures mentioned, a little higher, or you’re looking for something even cheaper! 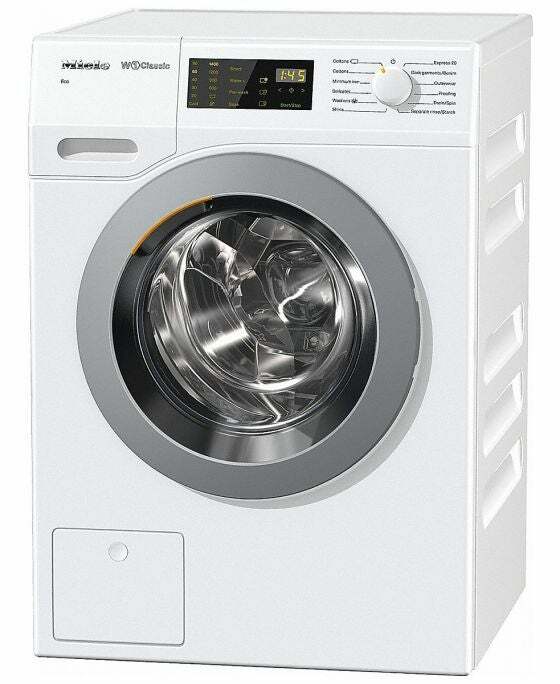 Starting at the higher end of the price spectrum, you will find the Miele 7kg WDB030. It’s equipped with a number of programs, such as wools, shirts, cottons Express 20, as well as outerwear cycle claimed to help high-quality outdoor textiles retain their functionality. It also features Miele’s Automatic plus wash program which is handy for those mixed loads, allowing you to wash cottons and polycottons together. Additionally, it allows you to delay the start time by up to 24 hours, so you can make use of the off-peak energy tariffs. Other notable advantages of this 7kg loader include a patented Miele honeycomb drum, boasted for the “gentlest of care” for your clothing. It also features a precise flow meter to control the amount of water used for each washing cycle – down to the millimetre! This additional system helps give the Miele Classic washer a four star energy efficiency rating, using just 236kWh per year. In terms of water efficiency, it’s also rated four stars with 63L consumption per wash. 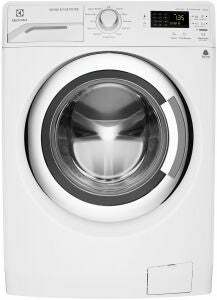 The Electrolux EWF12753 7.5kg Front Load Washing Machine ($999 RRP) is one of the highest rated on Appliances Online, with an average customer score of 4.7 stars out of 5 after more than 130 reviews. It’s boasted for its quiet and durable EcoInverter motor, backed with a 10 year warranty (motor parts only) and a four star energy efficiency rating, using just 280kWh each year. According to the Standard Test, it should add around $81 to your annual energy bill. It also has a 4.5 star water efficiency rating, using 64L of water per cycle. Some of its core features include its Time Manager, with a variable wash time and delay start, designed for busy lifestyles. It lets you do the wash when it best suits you and even allows you to set an 18 minute Quick Wash cycle for any lightly soiled loads. There are 11 wash programs featured, including a Daily 60 minutes program and a woolmark certified Woollen cycle, claiming to dry your lovely woollens without shrinkage. The ‘Vapour Refresh’ program is stated to quickly freshen and gently revive clothes without washing while also removing wrinkles, odours and reducing the need for ironing. In terms of noise level, it’s stated to produce a low 52dB of noise and has spin speeds of up to 1200 RPM. 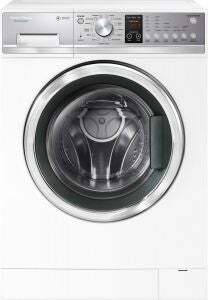 The Fisher & Paykel WH7560P2 WashSmart 7.5kg Front Load Washing Machine typically sits above the $1,000 price mark ($1,099 RRP) but can be found as low as $769 this end of financial year sales time. It’s boasted for a quiet and reliable SmartDrive system, claiming to produce less vibration to not disturb you and the family while you sleep, and with the addition of the delay start and Eco functions, you can make use of the off-peak energy times. This washing machine comes equipped with a range of different washing modes – 13 different cycles in total – including Allergy, Handwash and a 15 minute SuperQuick wash, as well as a Drum Clean to wash the washer itself. The Vortex Wash setting is designed to speed up the cleaning process, so most cycles can take less than an hour to complete. There’s also a wrinkle-free mode to help spend less time ironing, which can be selected via the SmartTouch control dial. Even as a front loader it allows you to add items mid cycle with the ‘Add a Garment’ function. It has a maximum spin speed of 1400RPM and produces a 58dBA noise level while in spin cycle or 49dBA noise during the wash cycle. In terms of energy efficiency, it’s rated four stars, using around $82 in energy per year, and for water efficiency it rated 4.5 stars, using 64L of water per cycle. 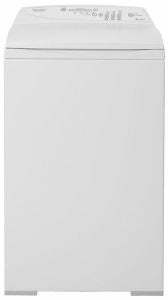 The Fisher & Paykel MW513 QuickSmart 5.5kg Top Load Washing Machine ($679 RRP) is now one of the highest rated on Appliances Online, with an average consumer score of 4.7 stars from 5 after more than 150 reviews. Typically, a 5.5kg capacity unit is suitable for one to two people. It features an agitator in the middle of the tub, designed with ‘flexible fins’ to ensure less tangling. It’s also equipped with the SmartDrive system featured in the F&P front loader model that senses each load to use less water and run with greater reliability. While it only has 1.5 stars for energy efficiency, using around $144 in energy per year, it’s rated three stars for water efficiency, using 77L water per cycle. It’s a fairly straightforward washer equipped with four wash cycles – wool, delicate, heavy and regular. It also has an Eco option, which is stated to use up to 25% less water than the traditional rinse. The design comes equipped with an automatic lint disposal and a stainless steel bowl. Its maximum spin speed is 1000RPM, which helps to spin dry clothes fast and you’ll also find a pause button to add missed items. 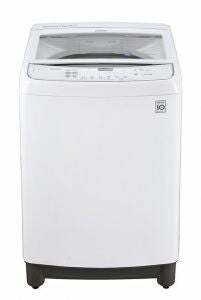 For a slightly larger capacity unit, you may like to consider the LG WTG7532W 7.5kg Top Load Washing Machine (RRP $1,149). It features LG’s Inverted Direct Drive motor, claimed to be a quiet and durable mechanism with less moving parts and backed by a 10 year parts warranty. It’s boasted for the 6 Motion Direct Drive, based on hand-washing, with a maximum spin speed of 950RPM. It has a 2.5 stars energy rating, which will add around $149 to your annual electricity bill, and uses 77L of water per cycle, which in turn gives it a four star WELS water efficiency rating. Unlike traditional top loaders, the control panel on this model can be found at the front for easy access. It features a stainless steel tub, without an agitator, and a soft closing lid that lowers gently and shuts quietly. The lid is also transparent, so you can keep an eye on your washing just like you would with a front loader. It has 10 wash programs to choose from including Eco Cotton, Quick and Delicates. It’s also designed with an auto lint filter for convenience and a tub clean program to help remove any detergent build-up. The Smart Diagnosis allows you to trouble shoot programs via the smartphone LG Smart ThinQ app, aiming to save you time and money on call outs. 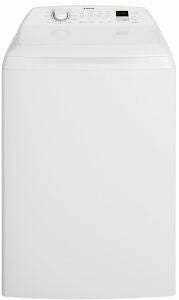 The Simpson SWT9043 9kg Top Load Washing Machine typically costs over $1,000, but can be found for just under $750 this EOFY sales time. It’s a large 9kg capacity unit, most suited for a household of four or more people, with a maximum spin speed of 850RPM. It features an Inverter motor backed by a 10 year warranty on parts only. The design features a soft closing lid and agitator that’s claimed to help prevent tangling during the wash cycles. It’s boasted for the Time Adjust function that allows you to increase or reduce the total wash time to fit in with busy lifestyles, and the Delay End option allows you to set the finish time of your wash. There are 11 washing programs to choose from including Delicates, Hand Wash, Regular, Bedding and a Daily 45 stated to be ideal for your regular loads. The Quick 20 wash cycle might come in handy for the small, less soiled items. The washer also lets you set a ‘favourite’ program, giving you the option to save your most used cycle without having to press multiple settings each time. It’s rated 3.5 stars in terms of its water efficiency, consuming 110L of water per cycle with an auto water level sensing system. 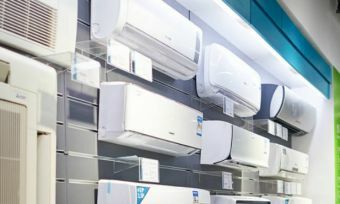 In terms of energy, you can expect it to add around $140 to your annual running costs, with a 3.5 star efficiency rating. Should you buy a washing machine this EOFY sales time? The end of financial year is a good time to look out for sales in the major appliances space, including for the beloved washing machine. Washers are a long term investment, so finding a bargain on the higher end models is always a plus. Typically the higher end models have increased energy and water efficiency ratings. If your current washer isn’t equipped with all the features you require, or isn’t the right capacity, you might like to consider investing in a new one when prices are often a little lower. When it comes to the sales times, it’s important not to get too carried away, spending money when you don’t really need to. But if you need a new washing machine now, EOFY could be the perfect time to bag a bargain. While you’re here, why not also check out our online ratings, to see how the brands above compare.